This undated booking photo provided by the Chickasaw County Sheriff's Office in New Hampton, Iowa, shows Cheyanne Harris, who was found guilty of first-degree murder on Wednesday, Jan. 16, 2019, in the death of her 4-month-old son, whose body was found in a baby swing in the family's home. The baby's father was already sentenced to life in prison. Warning: Graphic details in this article could be offensive or disturbing to some readers. Jurors have found an Iowa woman guilty in the death of her infant son, whose lifeless body was found in a baby swing. The Waterloo-Cedar Falls Courier reports it took the jury about four hours Wednesday to find 21-year-old Cheyanne Harris guilty of first-degree murder and child endangerment causing death. The charges stem from the death of 4-month-old Sterling Koehn, whose body was found Aug. 30, 2017, in a maggot-infested diaper at an apartment in Alta Vista. First responders found his body in a sweltering bedroom in a baby swing. A couple in Lexington, North Carolina has been charged with felony child abuse after maggots were found in the diaper of an 18-month-old baby. The baby was one of seven children in the care of 25-year-old Jamie Leigh Hiatt and 26-year old Michael Patrick McKnight. They were jailed on $100,000 bond each. 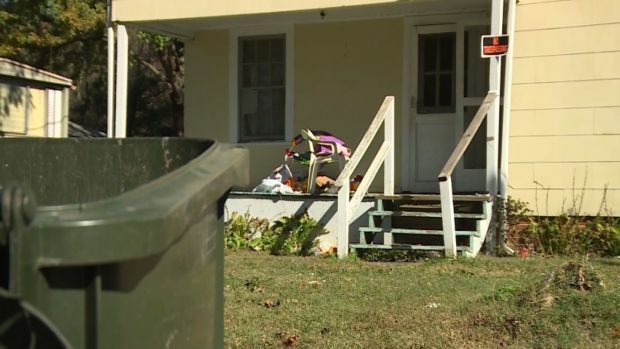 According to Lexington police, officers performing a welfare check at a home last Friday discovered seven children all under the age of 6 that were malnourished and unclean. Robin Hiatt, who said she is the paternal grandmother of at least one of the children, said she called police Friday night after she saw photos that indicated the children were severely malnourished. Police said two 18-month-old twins and a 1-year-old were taken to Wake Forest Baptist Medical Center. The other children are in foster care or family custody. Hiatt said the last time she saw the children was about a year ago, and has been trying to find them ever since. First-degree murder carries a mandatory sentence of life in prison without parole. The baby's father, Zachary Koehn, already has been sentenced to life in prison in the case.